About 75% of children’s visits to the emergency room are done during a weekend or at night when their family doctor’s office is closed. When your child is injured or sick, it’s natural to panic and go straight to the emergency room because you know they will get the care they need. There are various reasons why children are taken to the emergency room, including injuries and the flu. Here are the five most common reasons children are seen in the emergency room. 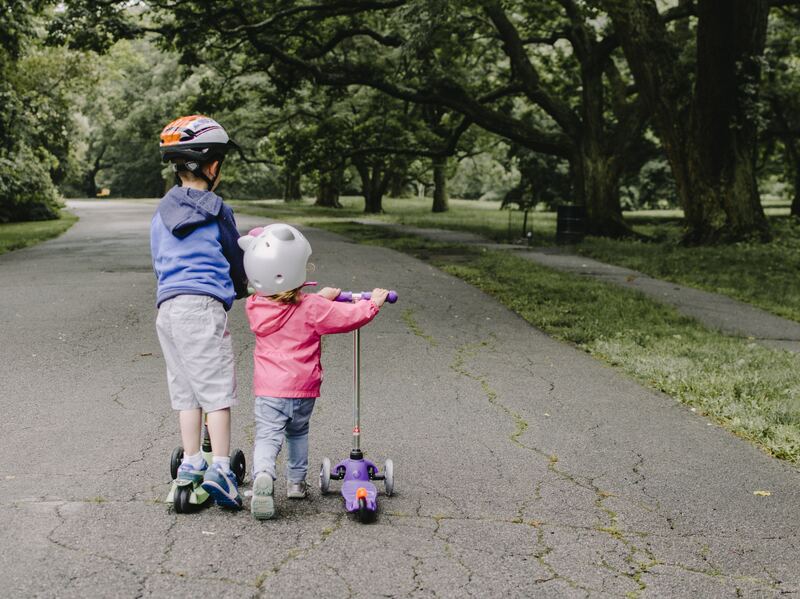 Whether it is from falling off of their bike or scooter or a sports related head injury, head injuries/trauma, especially sports related concussions, are the most common reason why children are taken to the emergency room. Even though wearing adequate head protection can help to prevent these types of injuries, a trauma to the head can still occur. Musculoskeletal injuries, which include everything from ankle sprains to broken bones and can happen from a variety of different accidents, such as falling from playground equipment or falling off a bike. Although the first thought may be to take a child with a broken bone to the local urgent care, it is best to go to the ER because some urgent care facilities may not be equipped to address this type of injury. Asthma, bronchitis and pneumonia are the most common respiratory problems that bring kids to the emergency room. Appropriately managing asthma is the best way to avoid a trip to the emergency room, but an attack can suddenly come on. If your child has asthma and can breathe without difficulty after using an inhaler, a visit to urgent care may be sufficent. However, if your child is struggling to breathe after using a rescue inhaler, their skin and/or lips are blue, or they are less active than usual after an attack, they should be seen in the emergency room. It can be extremely scary not being able to control your child’s fever and the fear generally increases when a fever is accompanied by stiff joints, a rash and/or difficulty breathing. Children can generally handle a higher fever than adults, but if your child’s temperature is 102, a trip to the emergency room is necessary. An infection or the flu can both raise a child’s temperature. If you suspect a serious infection, contact your doctor if possible to make sure an ER visit is best. Diarrhea, vomiting and/or stomach pains are also common reasons for children to visit the emergency room. If children are vomiting blood or bile and/or if their stomach pain is so severe that it interferes with them walking or they are dehydrated from not being able to hold down fluids, it is best to make a trip to the emergency room immediately. If you aren’t sure if an ER visit is necessary, its best to contact your pediatrician first to make sure you should go to the ER instead of the doctor’s office. Depending on the symptoms, your doctor may recommend that you make an office appointment instead of going to the emergency room. But if you need us, Surepoint Emergency Center is here.